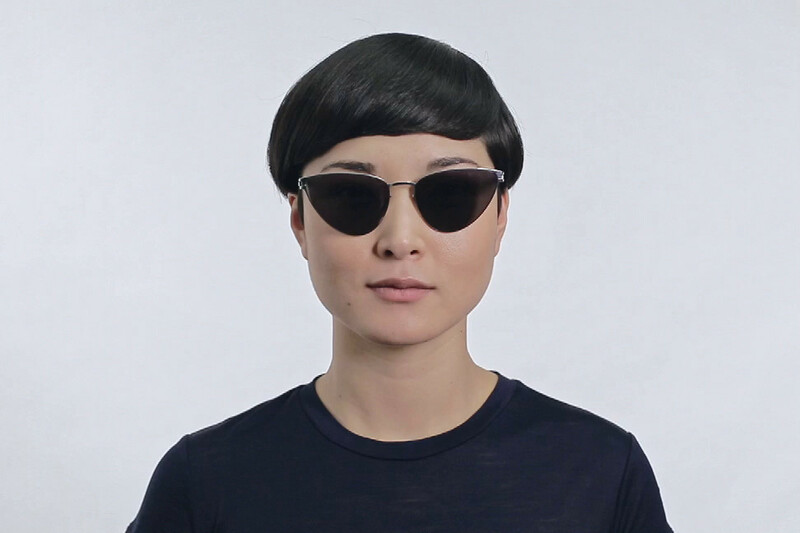 The model wears EARTHA in colourway F10 Silver with Silver Flash lenses. 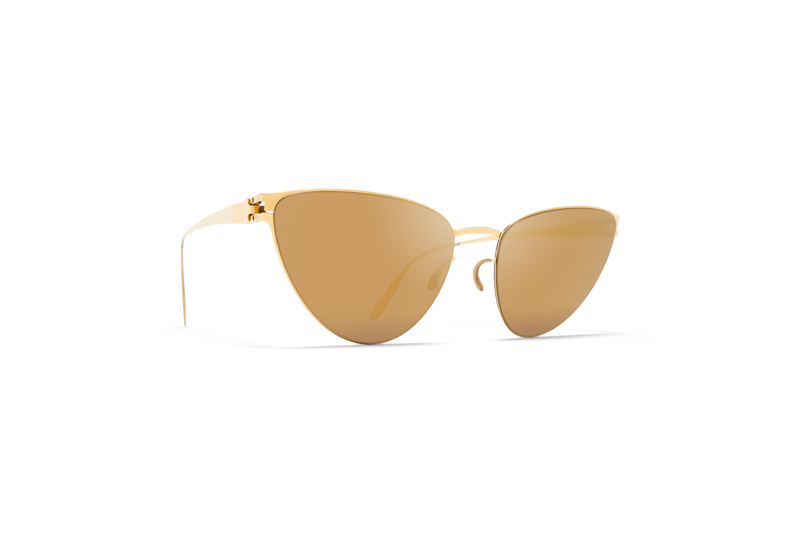 Made of lightweight stainless steel, EARTHA in F9 Gold with Gold Flash lenses is a butterfly-shaped sunglass frame from the MYKITA & Bernhard Willhelm collection. Handcrafted in Berlin.